InFocus Turbo 5 launched in India on Wednesday. 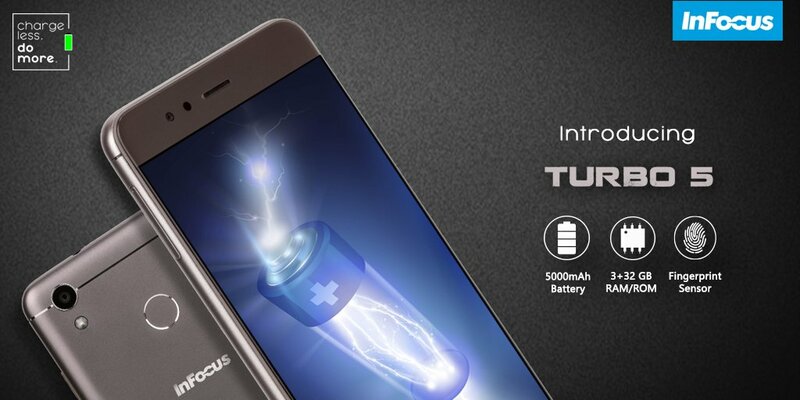 InFocus Turbo 5 Smartphone highlight feature is a massive 5000mAh battery. Infocus Turbo 5 launched at a price of Rs 6,999 for 2GB RAM/16GB inbuilt storage variant and at Rs 7,999 for the 3GB RAM/32GB inbuilt storage option. 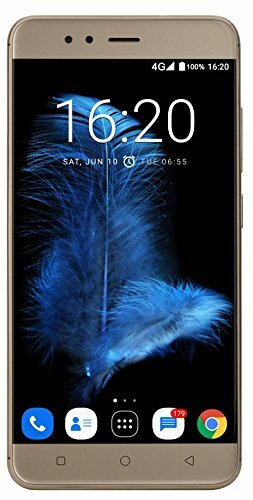 Turbo 5 smartphone will be exclusively available via Amazon India from July 4 in Mocha Gold and Pure Gold colour variants. InFocus Turbo 5 is one of the cheapest smartphones in the market offering such a battery size, and will compete against Lenovo K6 Power, XiaomiRedmi 4, and Coolpad Note 5 to name a few. The InFocus Turbo 5 is dual-SIM (Nano+Nano) smartphone sports an all-metal design with a fingerprint sensor on the back claimed to unlock the smartphone in 0.5 seconds. Infocus company is also touting fingerprint sensor shortcuts for selfies and flashlight. The InFocus Turbo 5 smartphone runs on Android 7.0 Nougat and sports a 5.2-inch HD 720×1280 pixels display with 2.5D curved glass protection on top. Turbo 5 is powered by a 1.25 GHz quad-core MediaTek MT6737 SoC coupled with Mali T720 MP1 GPU for graphics performance and up to 3GB of RAM. The 164 grammes new InFocus smartphone comes with the 3-megapixel rear camera with LED flash and a 5-megapixel front-facing camera, both cameras have a f/2.2 aperture. Smartphone offered with either 16GB or 32GB of inbuilt storage, which is expandable via microSD card up to 32GB. Connectivity options on the InFocus Turbo 5 include 4G VoLTE connectivity, Wi-Fi 802.11 b/g/n, Bluetooth, GPS, and FM radio and sensors include an accelerometer, ambient light sensor, digital compass, and a range sensor. InFocus Turbo 5 major attraction is the 5000mAh battery pack. The Company claims that is rated to last almost two days on a single charge, deliver up to 34 days of standby time, 50 hours of continuous music playback, and 23 hours of video calling. InFocus Turbo 5 also has another unique feature, the smartphone can be used as a power bank for charging other devices, thanks to its reverse charging feature. 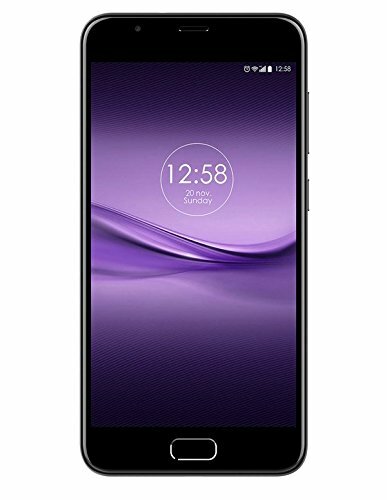 infocus, infocus mobile, InFocus Turbo 5, InFocus Turbo 5 Smartphone, InFocus Turbo 5 price in India, InFocus Turbo 5 buy online amazon, InFocus Turbo 5 launched in india, InFocus Turbo 5 smartphone discount online. Infocus Turbo 5 Unboxing and Hands On Review! Here is the New Infocus Turbo 5 smartphone which is comes from 5.2 inch of screen and 5000mAh battery. Nokia 3, Nokia 3310 and Nokia 5 are Available on Online Store in India, Buy Now!